ONLY $20! Come grab your olive martini girl limited edition shirt! We have men’s tee shirts and tank tops…and women’s tank tops for sale! Once we run out, that’s it! Come in any day between 12noon and 2am! Snuffheads of the world rejoice! 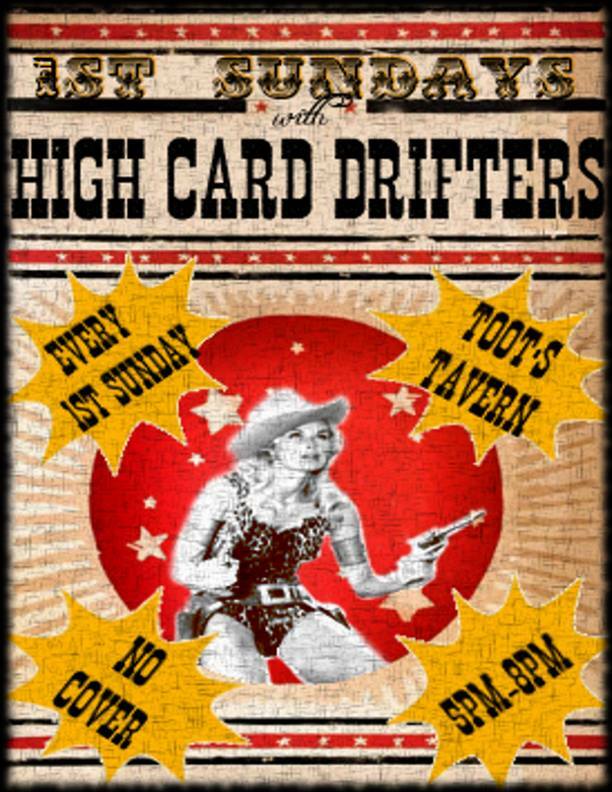 Starting on Sunday February 4th, your favorite band, High Card Drifters will be starting a residency at Toot's Tavern in Crockett, CA on the first Sunday of every month! We will feature a beloved bay area musician as a guest star each month and have lots of surprises planned. We look forward to making this show special each time. The music goes from 5pm-8pm with no cover charge! So you can swing by, grab a pint, a home-made sausage and bask in the light of the Gomer! What better way to wrap up the weekend?